Latest Trendy Trends styles for sale online including bra tops and dance shorts. 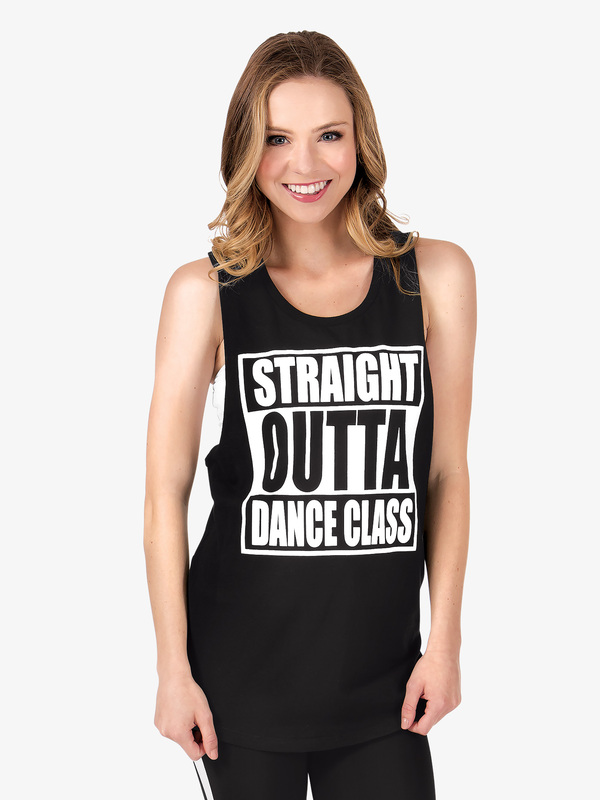 Trendy Trends Adult Straight Outta Dance Class Tank Top TT544: Clever and cute! This tank top features a Straight Outta Dance Class-inch graphic print, wide cut arms, and a comfortable cotton blend. Perfect for class or practice! Many more women's and girls dancewear styles on sale at Discount Dance Supply.